February is always one of those great months for me and for more than just Valentine's Day. My birthday is this month, the kids have their mid-winter break and I get to be creative throughout the month! I love 'LOVE', romance, and all that mushy stuff! 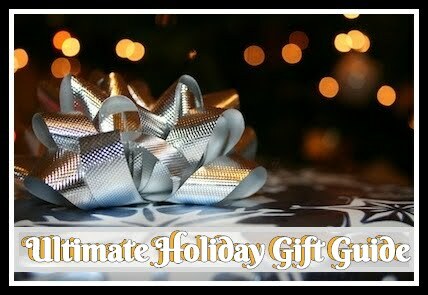 I may not be the best at showing my sensitivity most times but during this time of year I get all giddy and go out of my way to complete special tasks for the people I care about! Not only is one of those special things always baking but now its looking forward to baking with Lucky Leaf Pie Fillings. I know I can throw together anything in my cabinet and it's going to taste amazing as long as Lucky Leaf Pie Filling is one of the ingredients. Each season I get a new set of recipes to try out which of course you can access all of them too on their recipe finder. You can do a search for different recipes according to occasion, time of day, or type of meal! 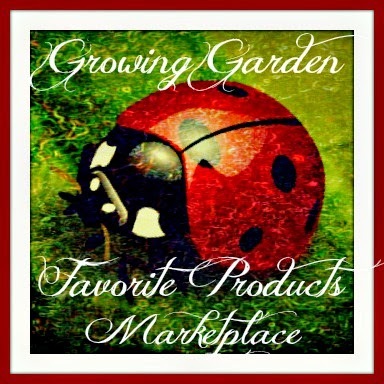 These are especially important to me because of my wonderful relationship with the brand! I almost feel as if I'm getting a family recipe passed down to me from my older generations! Because we constantly use these pie fillings for things like fruit filled waffles for breakfast, cranberry stuffing during the holidays, and smoothies in the summer, we actually debated over what to make this time around. Plus with our big move coming up I was limited on the pans I hadn't packed already :). 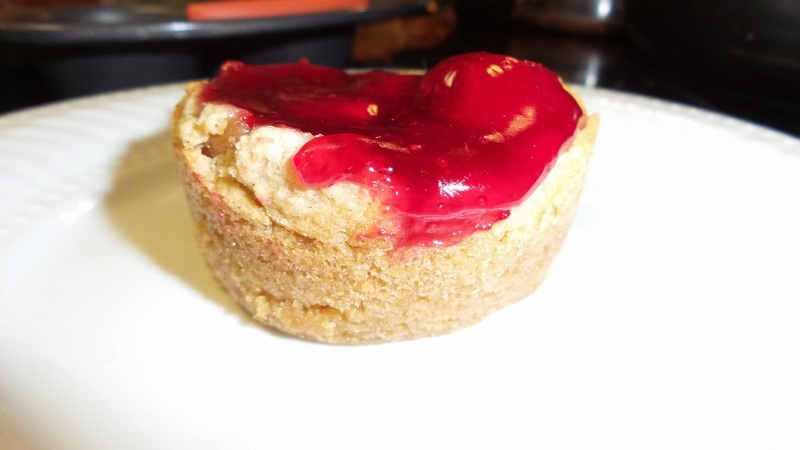 We settled on an easy Strawberry Cookie Tart recipe! *If you have a pre-mixed, ready to bake dough, you can skip the egg and butter. First mix your cookie dough in a bowl until moist throughout. Next heavily spray your cupcake tin with oil. Place back in the oven for 12-15 minutes (the longer the easier they are to pull out of the pans without falling apart. Dust with powdered sugar, Top with whipped cream, or place a scoop of ice cream with this and serve. 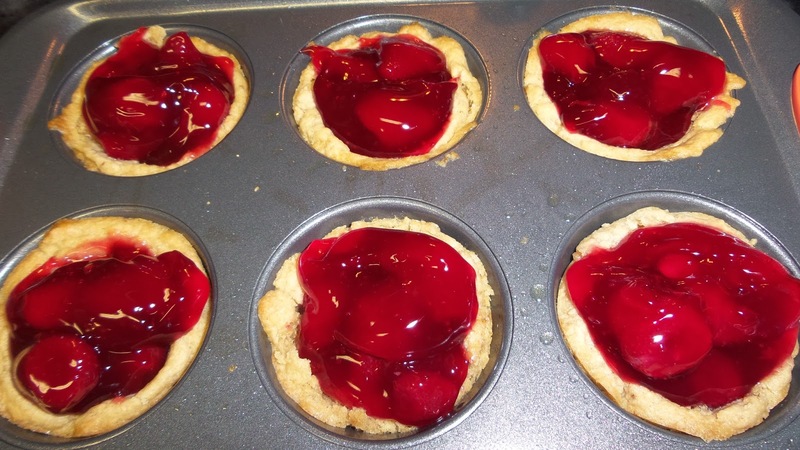 These fruit filled cookie tarts tasted amazing especially when warm! We didn't have any left within 10 minutes of cooking them in our household! Each Lucky Leaf recipe is so darn awesome that you can easily make it no matter what your skill level and seem like a pro to those who taste it. 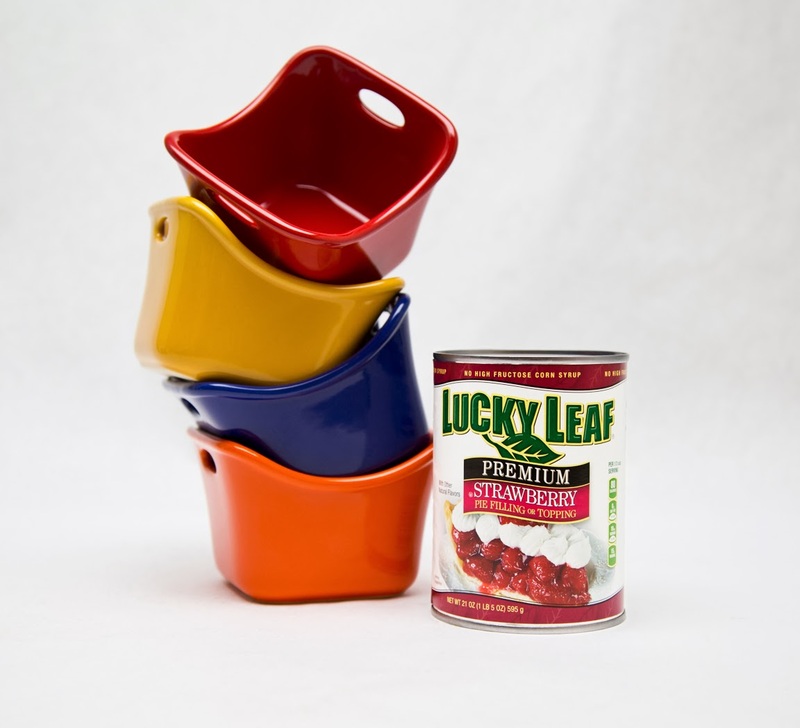 Giveaway: Lucky Leaf is going to give one of A Lucky Ladybug's lucky readers a gift package including a Can of Pie filling Rachael Ray Bubble & Brown Square Singles Stoneware set of their own! Look for this to begin on 2/14/14 as part of the "Ignite Your Senses" Event! 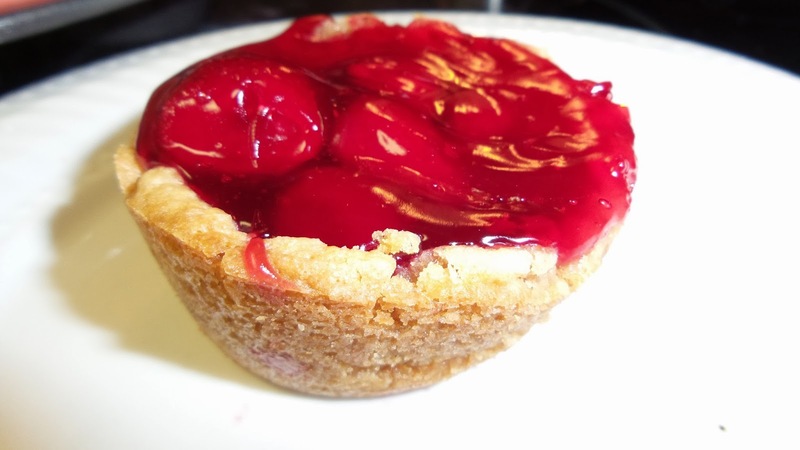 These little tarts look amazing. 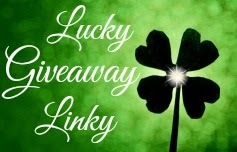 I love lucky leaf products. 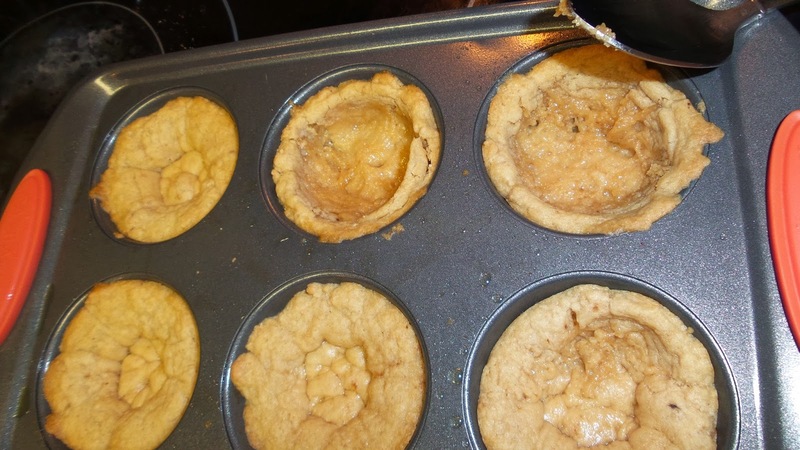 I never thought of using cookie dough for a pie crust like this. Great idea. Thanks for the recipe. Yum! My husband would LOVE these. He absolutely loves anything strawberry and I've been looking for a good recipe to make for him for a while now. Thank you for sharing!! 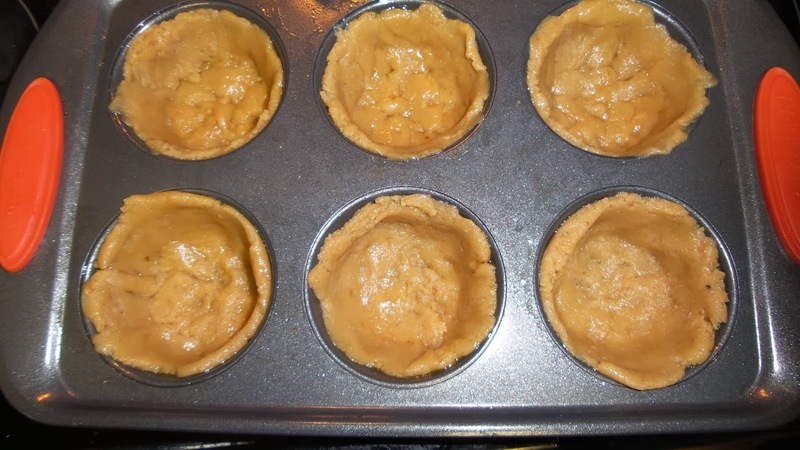 These tarts look wonderul and I think they would be really fun to make!